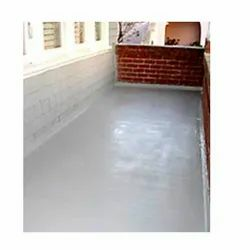 We offer effective and competitively priced Waterproofing Coating for wet slabs (under brickbat coba), basements etc. Waterproofing Coating Brush seal is a specially developed waterproofing coating that can be simply painted on the surface to be made waterproof. This is made from Oxidised Bitumen and Synthetic Resins which gives it durability. This is a solvent based product and should not be exposed to direct sources of heat, fire and areas where sparking can take place. Looking for Waterproofing Coating ?